The Welfenschloss was built from 1857 to 1866 as residence for the King of Hannover but has never been used that way. 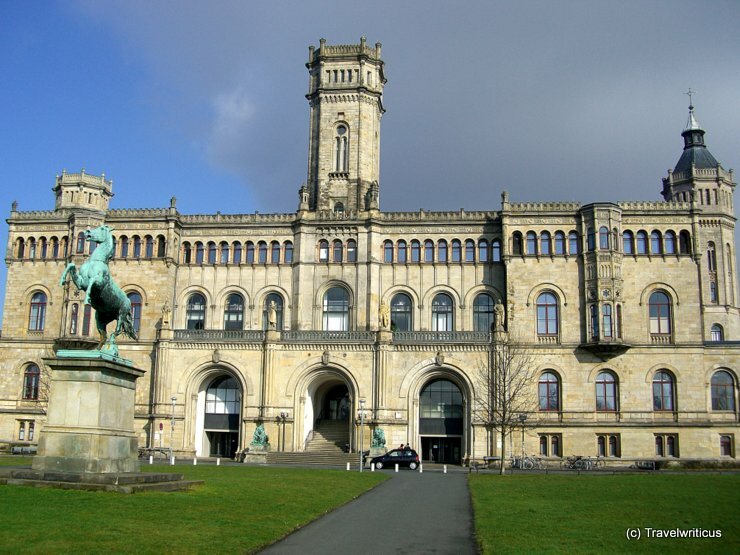 Today it houses the Leibniz Universität Hannover. The sculpture of a horse in front of the palace shows the Saxo Steed (Sachsenross) which is used in the coat of arms of Lower Saxony (Niedersachsen). This entry was posted in Castles and tagged Germany, Hanover, Lower Saxony by Travelwriticus. Bookmark the permalink.